Airspan’s small cells are designed to be deployed either as a self-contained LTE network, or as a second layer in a HetNet deployment with an existing Macro layer. As such, Airspan has been at the forefront of SON development, offering an advanced algorithm suite (AirSON) which is specifically designed to address operators’ needs when deploying small cells. With the proliferation of small cells in LTE, many operators quickly discover that traditional concepts of Macro cell planning and deployment cannot scale to support such a massive and rapid rollout. Self-Organizing/Optimizing Networks (SON) is a set of tools and algorithms aimed at greatly simplifying large-scale network operations. 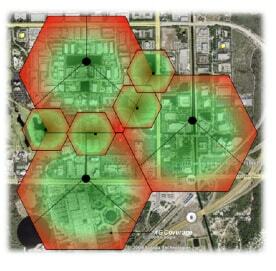 Airspan small cells are designed to integrate with standardized LTE Access SON solutions. Airspan’s AirSON is layered and consists of both Integrated eNodeB Distributed SON technology, as well as a Centralized SON interface for network based SON. This architecture is a great enabler for HetNet deployments, allowing the network to get the best of both approaches in the most optimized way.